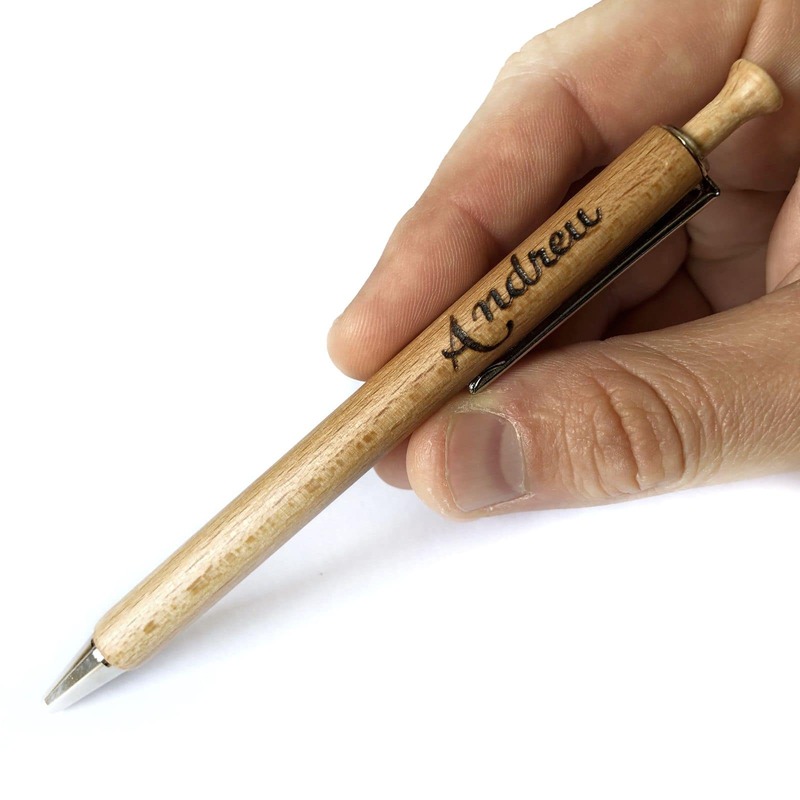 In case you don’t write anything in the box, we will send you the pen without personalizing. 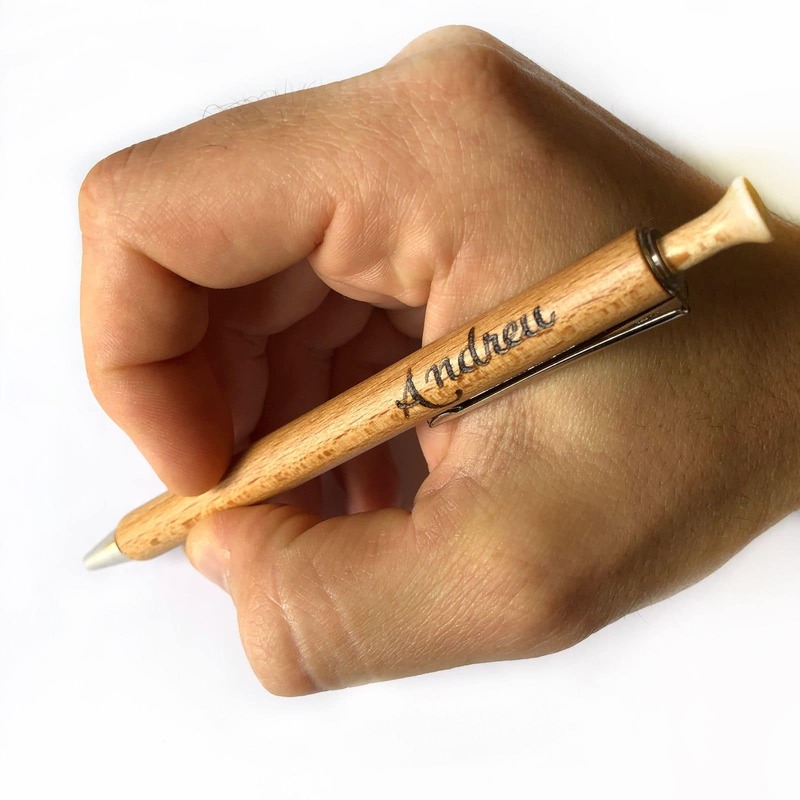 The perfect pen for nature lovers. 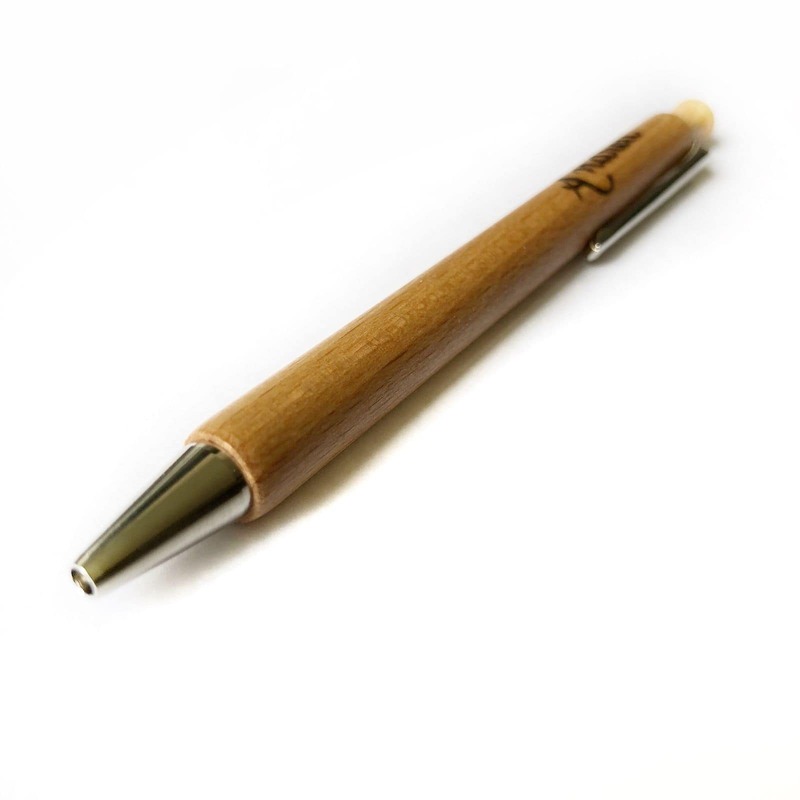 Stylish design ballpoint pen made from beech wood with FSC certificate. It has a metal clip with a conical shape and a wooden button. The metal parts are Nickel-plated. Blue ink. 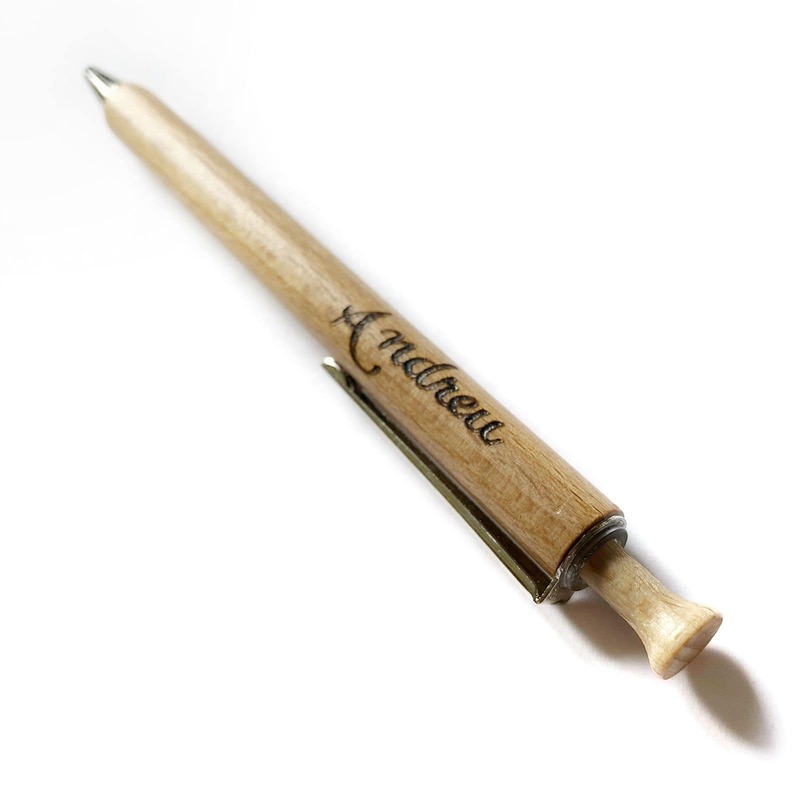 It is a very light ballpoint pen and pleasant to the touch, since the finish is in natural wood. Dimensions: Diameter 10mm, 140mm long. 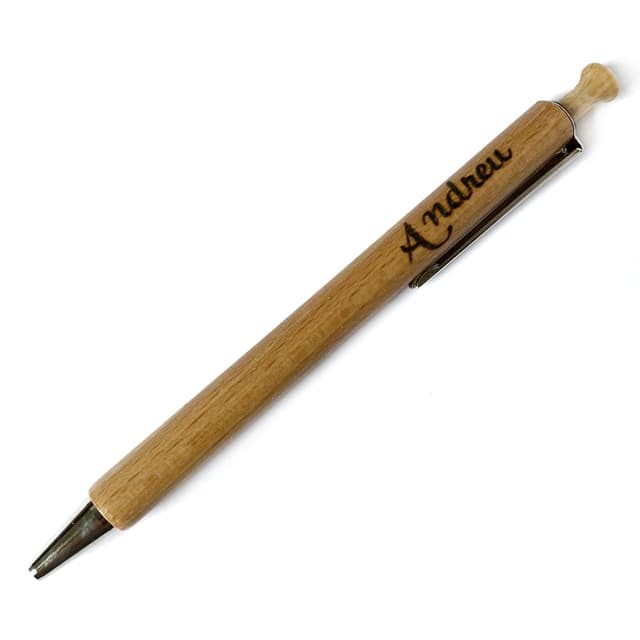 If you want to see more examples of our pens click here. Keychain with NAME and HEARTS AND STARS design. Beech wood pen and pencil set.